The bonus round: It's just spawn camping with a dodgeball twist. October saw the addition of Mass Effect: Andromeda to the EA Access membership. EA has now announced that the additional Deluxe Edition content for Andromeda is also included at no additional cost for Access subscribers. The Deluxe Edition content is available to download now for EA Access subscribers. Of course, the full game Mass Effect: Andromeda is also available through the service if you're a member and haven't downloaded it already. After a quiet few months, EA has revealed five more titles will be making their way to EA Access before the end of September. They also confirmed the dates for four Play First Trials for their upcoming sports titles, as well as a new feature coming soon to the EA Access website. Of the five titles coming soon, one of them is an Xbox 360 game that has yet to be announced as Backward Compatible, so I guess the announcement might have been a bit premature. Regardless, the list of upcoming titles is below, and all will appear on the program between July and September 2018. 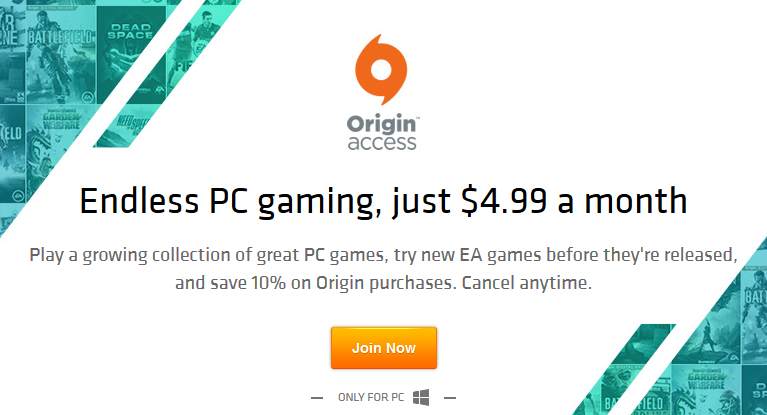 Finally, EA has confirmed that their website will soon allow players to install EA Access games remotely onto their console from PC or mobile. There will also be "a complete visual overhaul, improved navigation and even more amazing game news, trailers, streams and more" as the site receives a complete overhaul.